With no restrictions on the number of photographs taken, coverage can start at the bride's home and continue until speeches or the first dance at the reception. The photos can be any mix of formal and informal shots. I only photograph the formal groups that you specifically request, so if you want lots of formal groups, that's your choice; if you want mostly informal shots, that's also your choice. 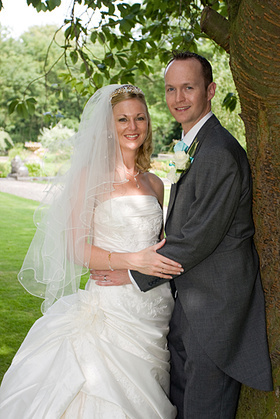 An initial retainer of £100 secures my services on your chosen day. The balance of £400 or £500 is payable on delivery of your proofs. Albums, prints and any other items are paid for on a "pay as you go" basis. If you don't need a full day's photography I also offer a reduced coverage of 3 hours for just £300.